Always wanted a new Malibu, but never found a way to swing one? Here’s your answer. 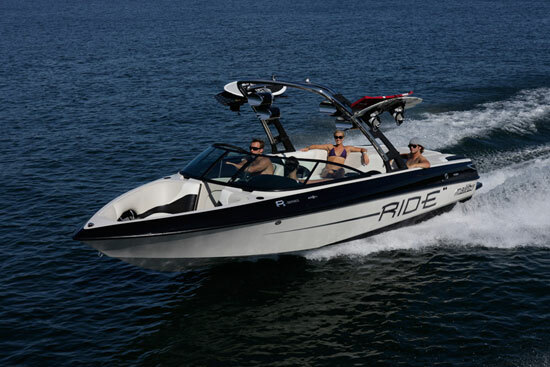 Even Malibu recognizes that not everyone can afford a top-of-the-line Wakesetter or Sunscape. 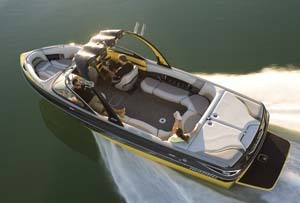 It’s also no great leap to understand that a lot of tow boat buyers would like to be able to ride behind a Malibu. 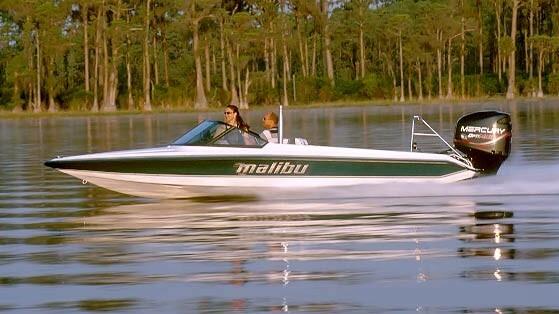 So, rather than forcing those buyers to scour the secondary market—and we all know how daunting it can be to find a specific used model—Malibu is offering the Ride series, which includes a 21 Ride and a 23 Ride. Both are value-oriented models that lure buyers who otherwise would be left to look elsewhere into Malibu dealerships. 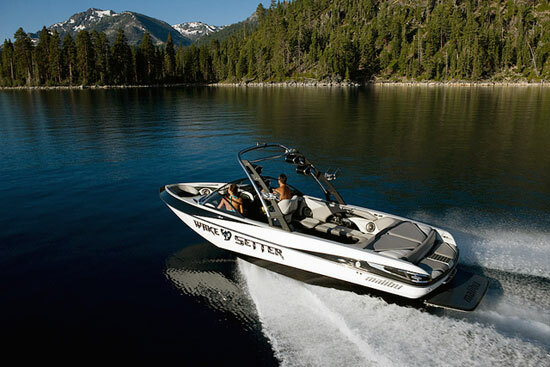 The Malibu 23 Ride is a well-equipped wakeboard boat at an affordable price. In terms of features, the 23 Ride is well-equipped for a down-market model. 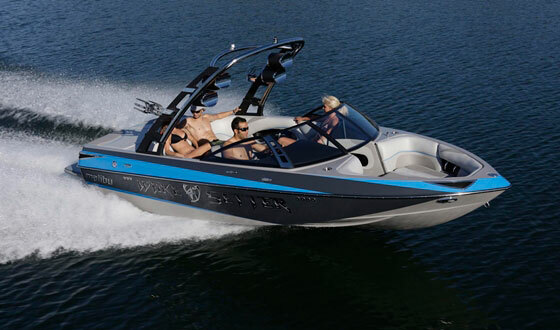 For example, the boat comes standard with the Illusion G3 tower, which features board racks, stereo speakers, and gas struts to assist in lowering it to the stored position. The standard graphics package also looks the part of a much more expensive model. Carpeted throughout the interior, the 23 Ride features a playpen setup in the bow, with fully upholstered coaming panels, concealed grab handles, and speaker enclosures. In the cockpit, there are none of the gee-whiz features found on upper-end models, but it’s not clear to us that you need the Maliview LCD display to have fun. Besides, you probably don’t want to have to read 40 pages of instructions to learn to how to use it anyway, right? You do get a dash that displays all the information you need, a swiveling seat that adjusts fore and aft, and a comfy armrest that lets your palm drop right on the throttle. 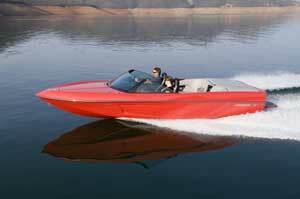 That throttle taps into a standard 330-hp small-block V8, with engine options of 350 and 410 horsepower. 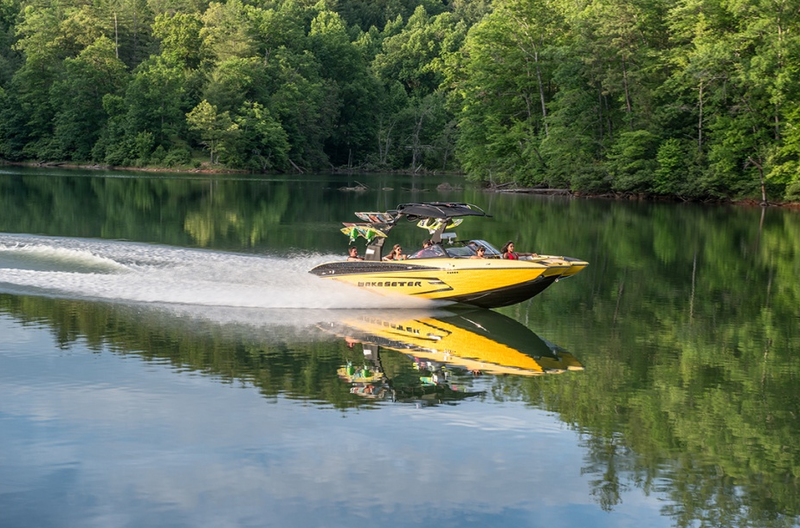 Seating is plentiful, and if you like large wakes, but don’t want to have to spring for optional ballast systems or Malibu’s famous Wedge wake-tuning system, you can bring along lots of friends to help weigh the boat down. 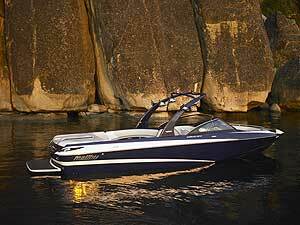 This boat represents great value as an entry-level Malibu. In fact, out on the water, no one cares about entry-level. It’s about the performance and the fun. In the past, Malibu provided the media with MSRP for all its models, but now the company asks that you see your local dealer for pricing. For more information, visit the Malibu website.